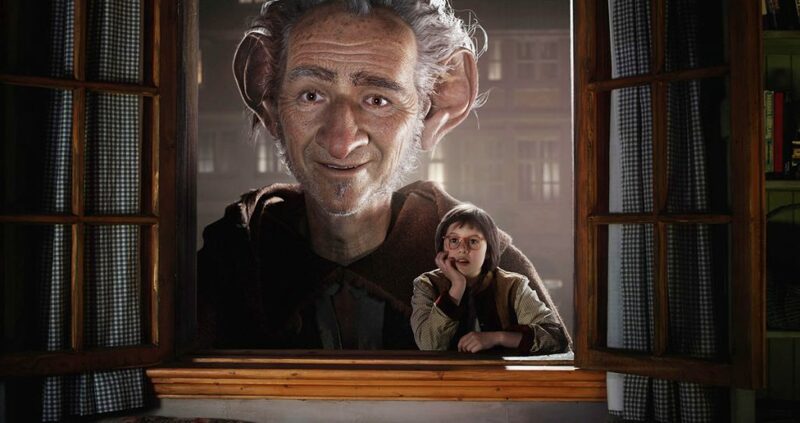 Mark Rylance as The BFG. The Queen’s New Year Honours list for 2017 includes several entertainers with genre connections. Mark Rylance, the great stage actor, has also played The BFG in The BFG, and is billionaire James Donovan Halliday in the adaptation of Ready Player One (2018). Ray Davies is primarily known as front man for the Kinks. His music has been heard in episodes of Quantum Leap, The Simpsons, Space Ghost Coast to Coast, Futurama, and Lost. Naomie Harris, lately seen as Moneypenny in two James Bond films, had genre credits earlier in her career, appearing in Simon and the Witch, The Tomorrow People, 28 Days Later, Dinotopia, and two Pirates of the Caribbean movies. She’s also in the forthcoming Jungle Book (2018). Helen McCrory, who played Narcissa Malfoy in three Harry Potter movies, and Madame Kali ini the Penny Dreadful series, also has been in an episode of Doctor Who, and the movie Hugo. Tim Piggott-Smith, a seemingly indispensable cast member in every British historical TV production, was a performer in two Doctor Who stories of the 1970s, The Claws of Axos (1971) and The Masque of Mandragora (1976), as well as Clash of the Titans, V for Vendetta, and Alice in Wonderland. Maggie Philbin, a television presenter best known for Tomorrow’s World in the 80s and 90s, has been recognized for her work in sparking young people’s interest in technology and engineering. It’s worth pointing out that the Queen has just about nothing to do with the main part of the list, which is compiled by a combination of politicians and civil servants (at the top end of the list) and suggestions from the general public (in the lower parts of the list). She grants them under Advice, which she is constitutionally bound to accept (providing that it is made lawfully). There are a handful of honours under the Queen’s personal gift – the Royal Victorian Order and the three high honours of the Orders of Merit, the Garter and the Thistle, none of those are under discussion, or likely to be (the RVO is granted for personal service to the royal family, mostly to people who work at one of the palaces; the other three are the highest honours; a total of 64 living people can hold them, combined, at any one time). The small number of awards for services to literature do not include any genre authors on this occasion.